The Bookman’s Tale is the story of Peter, an antiquarian bookseller who, in the midst of grieving for his recently-departed wife, finds what appears to be a Victorian-era watercolor of her, pressed inside an old copy of Edmond Malone’s An Inquiry into the Authenticity of Certain Miscellaneous Papers (the book exposing William Henry Ireland’s forgeries of Shakespearean manuscripts). Though he knows the painting can’t possibly be of his wife, he feels compelled to find out the identity of both painter and subject. Hunting down this information leads him to stumble across an early edition of Robert Greene’s Pandosto, the source material for The Winter’s Tale. While this would be an extraordinary find on its own, what makes this particular book even more astonishing is the marginalia: a series of notes apparently written by Shakespeare as he composed his play. Peter thinks that he may have realized his life-long dream to find evidence proving once and for all that Shakespeare wrote the plays attributed to him, but he knows enough of the history of forgeries to be wary of deception, and so he sets out on a quest to determine the book’s authenticity. He’s not the only one on the trail, however, and people with a lot to lose if Pandosto proves authentic are willing to kill to preserve its secrets. The book moves along three separate but interrelated storylines: the first set in 1995, when Peter finds the copy of Pandosto and goes on his quest; the second set in the 1980s, when Peter begins his career in rare books at college, and which also charts his relationship with Amanda from their first meeting to its tragic end; and the third spanning from 1592 through the 1870s, tracking the transmission of one copy of Pandosto through time and through the exchange of many hands. The historical plotline delves into the world of playmaking and printing in the 16th and 17th centuries, showing what a cutthroat business it really could be, driven by rivalries, egos, and personal vendettas. Of the three storylines, the least relevant to the driving plot is the 1980s thread — but that is the storyline which gives this book its heart. It’s what makes you care about Peter, and it’s what makes you feel that his quest matters not only scholastically, but personally as well. It also provides a lot of the connective tissue which ultimately ties the loose ends of the story together, because the reader gets to see Peter learn his trade as well as learn to come out of his shell and engage with Amanda’s family and friends. I received this book from the publisher, in exchange for a review, and I will freely admit that I had a lot of reservations — and I will just as freely admit that they were all, thankfully, rendered irrelevant. I worried this would be yet another Da Vinci Code knockoff, and while I have nothing against that genre of book in general, the quality can be alarmingly varied. I worried it would have an anti-Stratfordian bent, because I have learned to be leery when I see phrases like “prove the truth about Shakespeare’s identity” on book jackets (as turned out to be the problem with Interred with Their Bones). I worried that the dead-wife angle would make it too maudlin, too Gothic for my personal tastes (as was my trouble with the well-written but not-to-my-preference The Thirteenth Tale). I’m very happy to say that, as it turns out, I had nothing to fear on all three counts. The biggest problem, I think, is that the summary really doesn’t do the book justice. For one thing, it makes it sound like the book is a lot more about the painting and the Victorian angle, when the far greater focus is on textual transmission and the development of the Shakespeare brand through the centuries. It’s also not nearly as mournful in tone as the jacket makes it out to be, nor is the vaguely paranormal element the jacket hints at as prevalent. Peter is a strong protagonist without needing to be an action hero, and I appreciate him for that. He is, definitely, a scholar and a bookseller, and at no point during the story does he morph into a super-spy or an Indiana Jones. He remains what he is, using his intelligence, his inquisitive nature, and his training in the field of early modern publishing to hunt down the mystery. I also appreciated that Lovett could give us an introverted protagonist with social anxiety problems and still have him be a strong character. Peter struggles a lot, both early in the 1980s storyline and in the 1995 storyline, with social interaction, but the reader gets to see him learn how to deal with that. He finds his safe spaces and safe people. Unfortunately, since Amanda was the one who drew him out to begin with, after her death, he retreats from the world and isolates himself entirely — so a lot of the story isn’t just his quest to find the truth behind Pandosto, it’s about him finding closure with her death and learning to be that more-adjusted version of himself again, even without her. It’s a deeper and more emotionally satisfying angle than I was expecting the book to have, and it strengthens the narrative. I only have a few minor complaints, most of which didn’t really impede my enjoyment of the book: Some of the twists and turns are a little predictable, but that doesn’t bother me much. After all, as Shakespeare so often reminds us, knowing the plot isn’t the same as knowing the story. 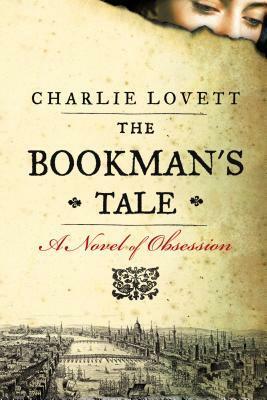 The Bookman’s Tale is less a fast-paced thriller and more a historical-psychological exploration with a dash of mystery, and I appreciate that Lovett didn’t seem to feel much need to hammer it into another form. The threat of danger towards the end is the only place it gets a little Da Vinci Code-y, but even there, The Bookman’s Tale strains plausibility far less than other books in this genre. There were only a few details throughout which I found far-fetched, such as a professor of Shakespeare at an esteemed university never having heard of Q1 Hamlet (but perhaps, in the 1980s, that could have been true? I don’t know). The secondary romantic interest felt a little tacked-on and unnecessary. The book definitely would have worked just as well without that aspect, but Lovett also isn’t too heavy-handed about it, so it’s easy to ignore. I can cheerfully recommend The Bookman’s Tale as a great summer read for any Shakespeare enthusiast, but particularly, I think, for the sort who has a real interest in the early modern world of playmaking and printing. There’s more substance here than to your typical novel of this sort, and a lot more “Easter eggs” slipped in for the benefit of readers-in-the-know. I think those of a scholarly bent will appreciate the attention to detail which Lovett gives the history of textual transmission. The sections set during Shakespeare’s lifetime are full of wonderful details, intriguing cameos, and cheeky off-hand references. Lovett clearly knows his stuff when it comes to the playhouses and the print culture of early modern England. The Bookman’s Tale would actually be a great companion book to Shapiro’s Contested Will, in some ways, because it takes a fictionalized look at the true history of how Shakespeare mania grew over the centuries into a force which spawned forgeries and erroneous theories. It just released this week, so pick it up at your local bricks-and-mortar or on Amazon . Cross-posted, with some additions and adjustments, from the American Shakespeare Center Education Blog.